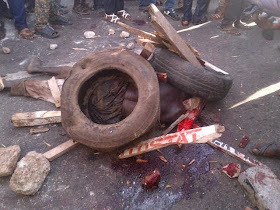 lynching, burning or killing suspected criminals. The Attorney-General warned that the full weight of the law would be brought to bear on anyone caught engaging in jungle justice, no matter what the alleged criminal have done. According to him, nobody has the right to take another person’s life as guaranteed by natural justice and the constitution of the Federal Republic of Nigeria, except by an order of the court.